Products and services designed to accommodate individual needs and to enable individuals with disabilities to compete effectively with their peers in the work place. 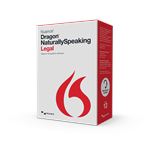 Full version of Dragon NaturallySpeaking. Dragon NaturallySpeaking 13 Professional is enterprise speech recognition software that lets users interact with PCs by voice —three times faster than typing — to drive productivity and cost savings.